You are currently browsing the category archive for the ‘Corporate Bankruptcies’ category. Even the most callous, ignorant, unconcerned citizen can’t ignore this. One can blame all Congress for it’s inaction. This Congress going on vacation now, has worked the least of any Congress in modern history up to this point. Just 142 public bills have become law in this current Congress (2013-2014) – down from the 906 the 80th “Do-Nothing” Congress passed in 1947-48, and the 333 that were enacted during the Newt Gingrich-led 104th Congress of 1995-96. It is obvious where the problem lies. Those people blaming Obama, who are so dysfunctional, they can’t even get THEIR OWN legislation passed in THEIR OWN controlled chamber…. It played exactly the way the shut down the government last October. America, you have to stand up and do something about it… You can only blame yourselves….. The owners of a corporation should be able to impose their religion upon its policy… That means that the owners or family of a corporation can use their values to determine a corporation’s policy…. Therefore if his case is decided in Hobby Lobby’s favor, the head of the corporations will now be responsible for those actions and results of those actions, so therefore, they can be personally sued for any damages their corporation creates…. This rents the curtain that has separated an individual’s accountability from that of his LLC. corporation… One could always sue Freedom Industries, which as a corporation is now bankrupt so what’s the point; the assets were already transferred to its owner. , But now, if Hobby Lobby opens the door so a person and corporation are the exact same thing, all those damaged by corporations, can now go after the assets of any individual behind that corporation…. Because that discrepancy now works both way…. Foreign investors are jumping into the charter game. Last year it was revealed that a group from Turkey was our biggest investor in our Charter School network. Wealthy individuals from as far away as China, Nigeria, Russia and Australia are spending tens of millions of dollars to build classrooms, libraries, basketball courts and science labs for American charter schools.. in Florida, state business development officials say foreign investment in charter schools is poised to triple next year, to $90 million. Under a federal program known as EB-5, wealthy foreigners can in effect buy U.S. immigration visas for themselves and their families by investing at least $500,000 in certain development projects…. Where is the NSA when you need them? Anyone can buy a visa for $500,000. The largest Charter Network in the US, 135 schools with 45,000, is owned by a secret cult from Turkey. In 2006 our Istanbul consulate noticed that a large number of Turkish men, suspected to be GM-affiliated, were seeking visas to work at charter schools. Profits from these charters are mostly sent back to the investor’s home country. These small schools usually fail, taking the education of their students down with it. But large foreign investments are large enough to make a go. One late night comedian got a laugh mentioning it…. ” It used to be our 7-11′s. Then it was our Dunkin’ Donuts.. Now, they’ll be running all our Charter Schools!” The audience roared while he continued teaching math in and Indian accent. Many Public schools have been around for hundreds of years. Charter Schools are volatile hit or misses. Missouri regulators shut down six campuses run by Imagine Schools, one of the nation’s largest for-profit charter chains, because of poor academic performance. A judge in California ruled that Aspire Public Schools, a large non-profit chain, hadn’t secured the proper approval for six of its schools and would have to get permission from local boards of education to continue running them. Local officials yanked the charter of a high-achieving middle school in Georgia over concerns about mismanagement. 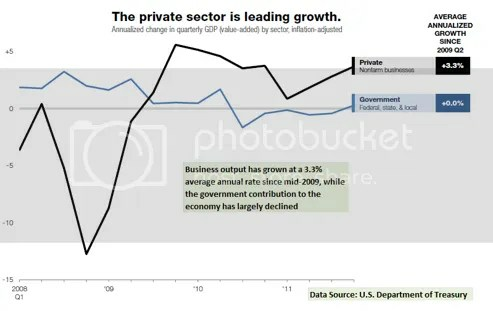 Under Obama, private sector jobs have risen; government jobs have fallen. The unemployment piece of the puzzle is still unfinished. We need more jobs. It appears the Corporate jobs have maxed out. We have unlimited income pouring into corporate coffers, and no attempt by them to reinvest. They took the money and ran. Therefore, considering the corporate entities do not want to pay for hiring more people, the government must. This is not a plug for government hiring. This is a plug for achieving full employment with higher wages for all. We all know that corporations need watched over. They’d weaken your grandmothers pills without watchdogs looking over their shoulders every second of production. They could hire people to watchdog for themselves. It actually would save them money in future lawsuits. They don’t. They say they can’t afford it, it is the government’s job, and meanwhile, they report profits higher than have ever been reported under the current accounting system which was implemented post WWII…. So you see, they certainly can hire more people. They won’t, and because of their default, it becomes the governments job. Right now, to achieve full employment, which should be our national goal, we need more people hired. Period. If the corporate side won’t, then we need to hire government workers to do the necessary jobs for which the corporate entities refuse to hire: those jobs of watching out for what is best for the American people. Obama’s “tricksy” predicament is to make those government hires, without causing the current private jobs we have go down…. Consider it as an investment. Do you put all YOUR investment eggs into one basket? If you do, you need to fire your investor. Diversity is strength. 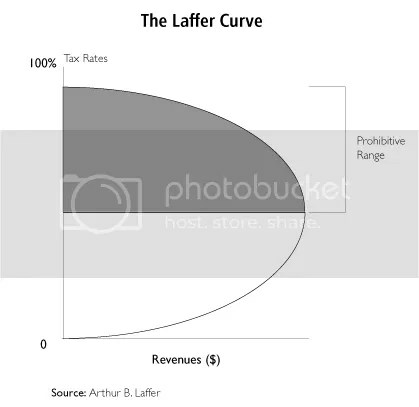 Heaven help us with our current dependence upon private sector jobs, if another crisis precipitates another gigantic loss of net worth, then unlike the last time, we will have zero means to keep some money flowing into the economy…. We can see from the chart, that we need more government jobs to do what the corporations should be hiring to police themselves. They could solve this themselves. They haven’t. They won’t. When they get Duffy to yell, we will all remind them, … it was their fault.